I slip into Thandi's bed in the night. I crack her ribs and climb deep inside her chest So I never have to leave. Johannesburg. 2014. Summer. Yolandi is listening to rap-rave music and helping her brother bust parts from her teacher's car. Thandi is swotting for her exams and keeping well away from any distractions. In the stifling heat, two teenagers collide. Downing Klipdrift brandy, they create an alliance away from everything else. But scars take time to heal and, as the thunder threatens to strike, the real world crashes in. Set in the eighteenth year of South Africa's democracy a tender coming-of-age story for a nation and its youth. 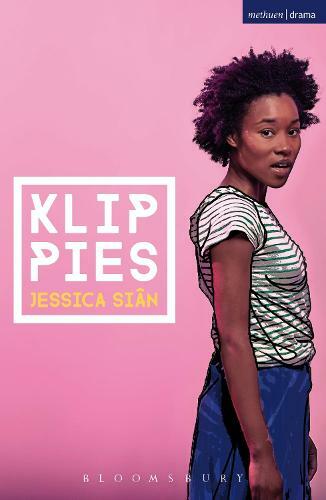 Following a rehearsed reading at HighTide Festival in 2013, Klippies by South African playwright Jessica Sian received its world premiere at Southwark Playhouse, London, on 13 May 2015.